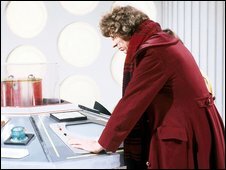 Who will be next to take on the keys to the Tardis? 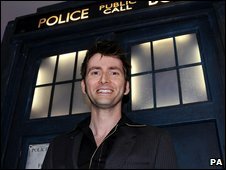 The name of the actor who will replace David Tennant in Doctor Who will be announced on Saturday. His replacement - the 11th Doctor of the TV series - will be revealed in a Doctor Who Confidential programme on BBC One at 1735 on 3 January. The BBC said that in Saturday's Doctor Who special "the actor playing the new Doctor will be giving his or her initial reaction" to becoming TV's most famous time traveller. Wenger, head of drama at BBC Wales, said: "We believe the actor is going to bring something very special to the role and will make it absolutely their own. "I just can't wait to tell everyone who it is - it has been a nail-biting Christmas trying to keep this under wraps!" Paterson Joseph, who recently starred in Survivors and appeared in two Doctor Who episodes in 2005, has said "any actor would love the challenge" of playing the Time Lord. The show's outgoing executive producer Russell T Davies said last month: "Whoever becomes the Doctor has got to take on a whole life. It's not just becoming a part of a TV show." It would be nice to see an older wiser Dr arrive on the scene. Less cheeky chap and more brilliant eccentric professor. 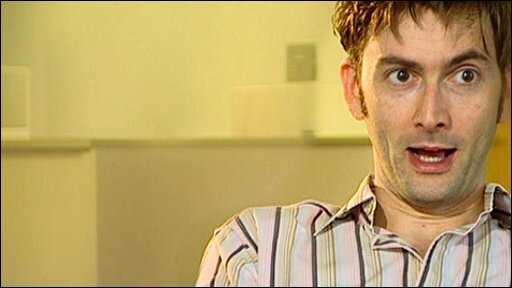 In October, when Tennant was asked who he thought should replace him, he joked: "Well, I've always been a big supporter of Wee Jimmy Krankie!"